When the NFL began attaching sensors to players in 2016, allowing for precise real time tracking, Sportradar saw an opportunity. 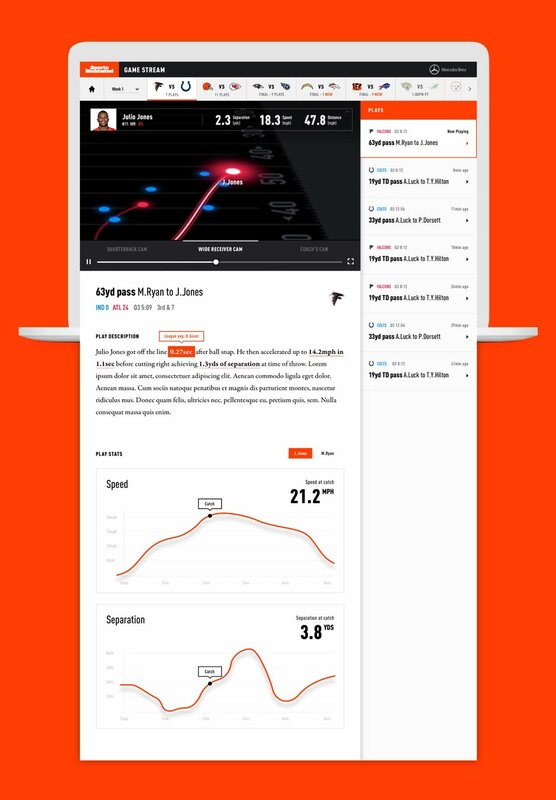 As a company that specializes in analyzing sports data, Sportradar hoped to leverage this data to create a tool that would give sports writers, fantasy football players, and dedicated fans new insight into the game. 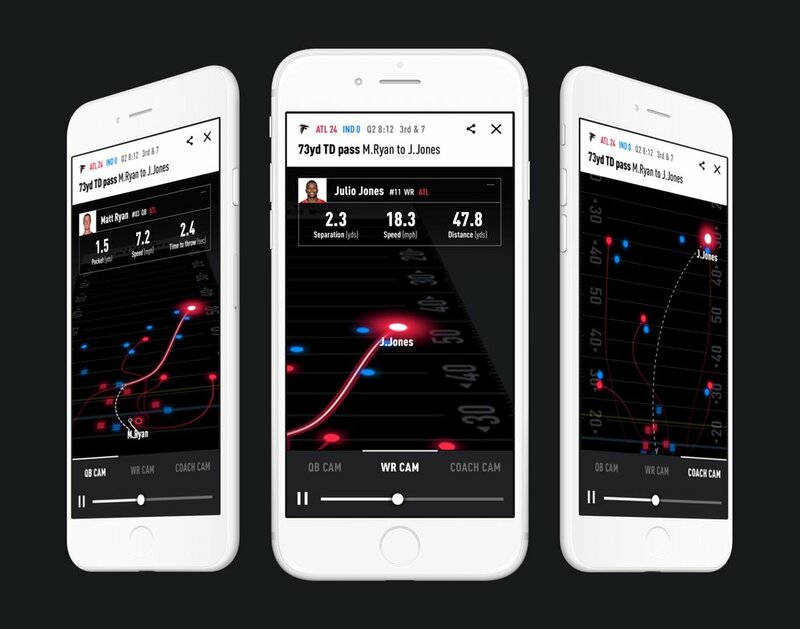 Redshift was tasked with designing a responsive site that showcased the data behind the plays. 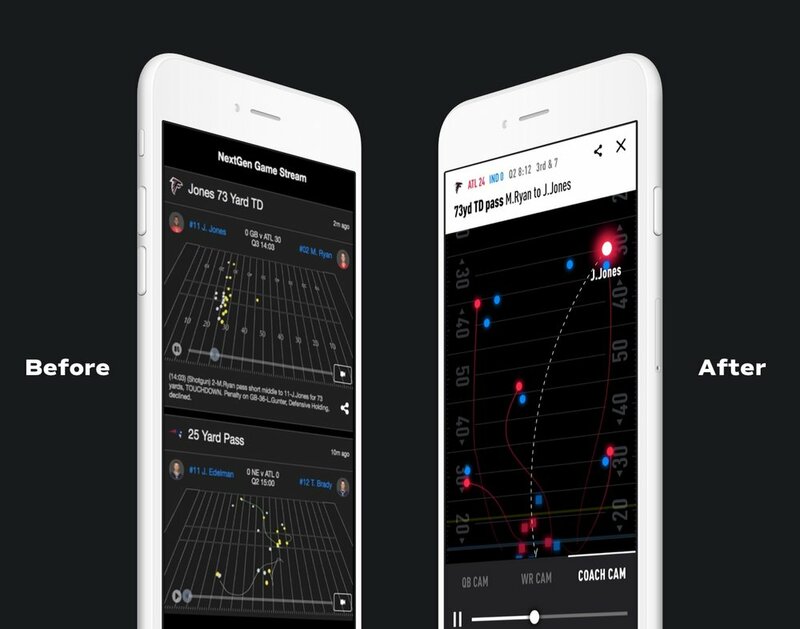 Our solution allowed users to explore plays from different perspectives, track players speed, separation, and other data points in real time, and gather additional insights through graphs and data driven play descriptions. 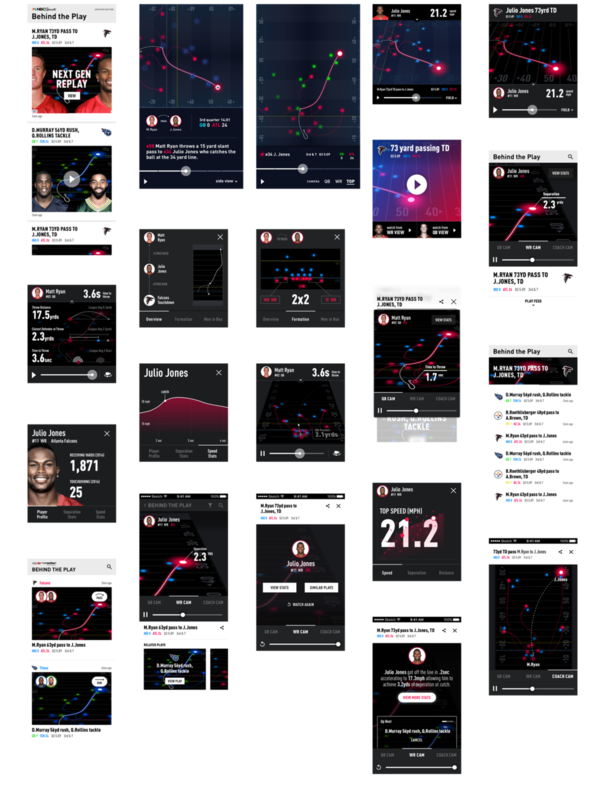 Designed at Blink UX with David Westen (Creative Direction) and Steffan Schlarb (Creative Direction). Sportradar came to Redshift with a rough coded prototype showcasing some of the potential features. 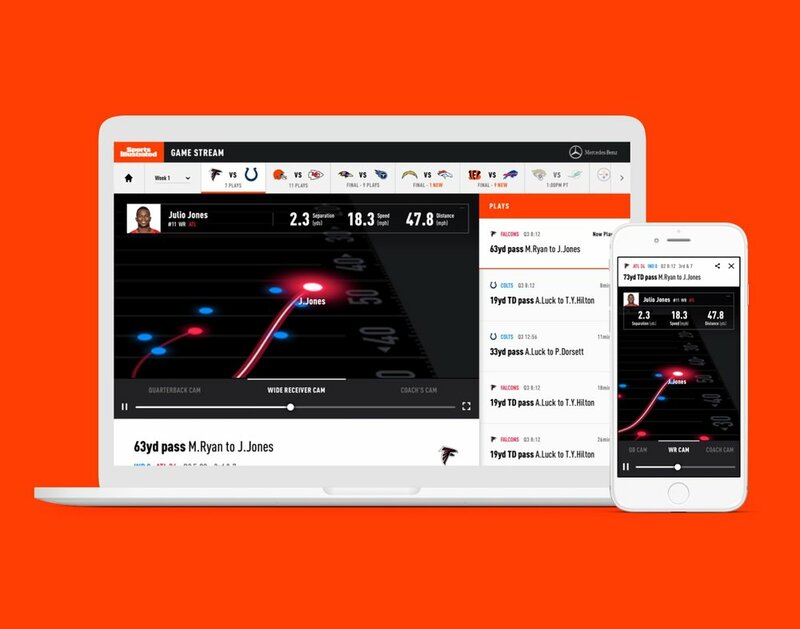 Each matchup featured a feed of interactive plays, a description highlighting key stats, and a graphic visualization. At the heart of this experience, the player allowed users to to toggle through multiple views, each providing new statistics and perspectives. A small selection of other ideas that were presented.